Click on this link to change the session and campaign timeout settings. By default a Google Analytics session expires after 30 minutes of users’ inactivity. 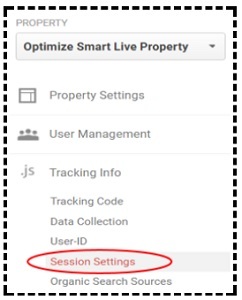 You can change this setting by changing the session timeout settings in your GA property. You can make a session expire after 3 minutes of users’ inactivity or after 3 hours of users’ inactivity. However, a GA session timeout can not be less than 1 minute or greater than 4 hours. 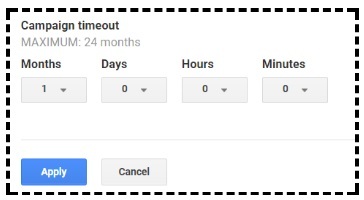 Before you change the GA session timeout setting, you need to decide the ideal length of your GA session. For majority of websites, a GA session which is 30 minutes long is all right. #1 If for some reason, an average user has to spend lot of time on your website (say 2 hours on an average) to engage with your website content or complete a specific task (file an application, play a game etc). If that is the case then you should set the session timeout to match the length of the time spent. 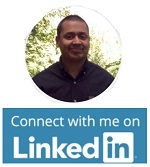 #2 If your site automatically sign out a user after being inactive for a certain period of time. If that is the case then you should set the session timeout to match the length of the active time. I like to keep the session timeout setting to 30 minutes. 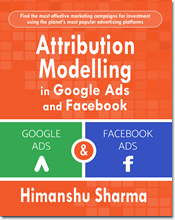 Session Attribution => Which traffic source should get credit for generating a GA session. Conversion Attribution => Which traffic source should get credit for generating a Conversion (transactional or non-transactional conversion). 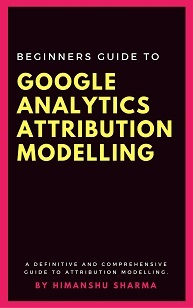 Google Analytics uses attribution models to determine sessions and conversions attributions. 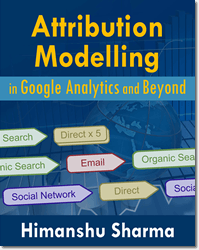 In case of non multi channel funnel reports, Google Analytics attribute current session and/or conversion for a user to the last non-direct traffic source through an attribution model (i.e. set of rules) called the ‘last non-direct click’. 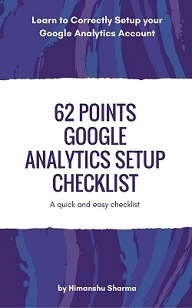 In case of multi channel funnel reports, Google Analytics attribute current session and/or conversion for a user to the last traffic source through an attribution model called the ‘last click’. By default a Google Analytics Campaign attribution expires after 6 months. #1 The last non-direct traffic source actually exist. #2 The last non-direct traffic source does not change for the user for 6 months. #3 The user continue to use same device (desktop/laptop/computer) and web browser to return to the website. #4 The user does not delete Google Analytics Cookies during the 6 months period. 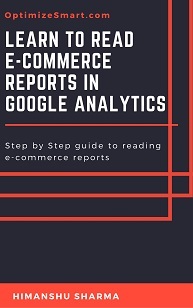 #5 You look and draw conclusions from the data in the non multi channel funnels reports in GA.
A non-direct traffic source could be: organic search traffic, paid search traffic, referral traffic or traffic from custom campaigns. The last non-direct traffic source won’t exist, if a user directly visit your website for the first time or if GA wasn’t able to record the original referrer of the very first visit to your website for some reason. Let us suppose when a user first visited your website, GA wasn’t able to record the referrer for some reason. 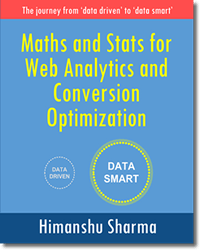 Here the source and medium changed because under last non-direct click attribution model, Google Analytics attribute current session and/or conversion for a user to the last non-direct traffic source and the last non-direct traffic source is ‘Google Organic Search’. Here the source and medium did not change because under last non-direct click attribution model, Google Analytics attribute current session and/or conversion for a user to the last non-direct traffic source and the last non-direct traffic source is still ‘Google Organic Search’. Here the source and medium changed because under last non-direct click attribution model, Google Analytics attribute current session and/or conversion for a user to the last non-direct traffic source and the last non-direct traffic source is now ‘Referral traffic’. Here the source and medium did not change because under last non-direct click attribution model, Google Analytics attribute current session and/or conversion for a user to the last non-direct traffic source and the last non-direct traffic source is still ‘Referral traffic’. Here the source and medium changed because under last non-direct click attribution model, Google Analytics attribute current session and/or conversion for a user to the last non-direct traffic source but the last non-direct traffic source (the google organic search) no longer exist as by default GA campaign timeout after 6 months. Each direct returning visit refreshes the timeout of the last non-direct traffic source for the duration equivalent to the campaign timeout setting (default value is six months). Now for all subsequents visits as long as the user keep returning to your website directly, Google Analytics will continue to attribute the sessions to Google Organic (under the last non-direct click attribution model). 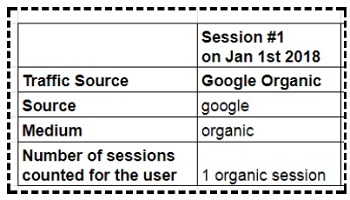 So while the user has been visiting your website directly for almost a year, Google Analytics continued to attribute the sessions and conversions to Google organic search. That’s why I recommend that you reduce the campaign timeout from the default 6 months to 1 month. If you reduced the campaign timeout to one month then what will happen is when the user visit your website for the second time directly say after one month then GA will attribute the sessions and conversions to direct traffic and not to google organic search. This would be a more accurate representation of the user behavior. If the user is actually returning to your website directly then that should be reflected in the GA reports. So if at present majority of your traffic and sales is being attributed to organic search traffic then after implementing this correction, you should see a drop in the traffic and sales from organic search traffic and increase in the traffic and sales from direct traffic. Similarly, if at present majority of your traffic and sales is being attributed to paid search traffic then after implementing this correction, you should see a drop in the traffic and sales from paid search traffic and increase in the traffic and sales from direct traffic. #2 The last non-direct traffic source does not change before campaign timeout. #4 The user does not delete Google Analytics Cookies. You can change the campaign timeout by changing the campaign timeout settings in your GA property. Campaign timeout can not be less than 0 minute or greater than 24 months. Before you change the GA Campaign timeout setting, you should decide the ideal campaign timeout. For majority of websites, a campaign timeout of 1 month is all right. #1 If your sales cycle is longer than 30 days. #2 If your sales cycle is shorter than 30 days. 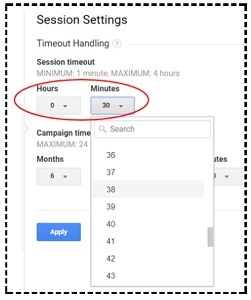 Set the campaign timeout to the same amount of time it takes for a user to convert on your website after being exposed to a marketing campaign. I do not recommend setting campaign timeout longer than 3 months regardless of how long your sales cycle is. #1 Three months is a very long time period on the internet during which your prospect is very likely to be exposed to multiple marketing channels and campaigns which impact his buying behavior. So you can’t just keep attributing the traffic and conversion to the very first campaign or traffic source which brought the user to your website when the user is repeatedly visiting your website directly and or being exposed to other marketing campaigns/messages. 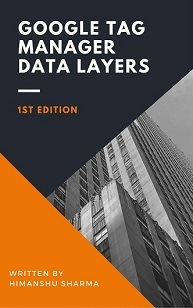 It is equivalent to relying on the first touch attribution model. #2 Once a marketing campaign has stopped running, its relevancy in impacting the buying behaviour of your prospects starts declining over time. And after 3 months the relevancy of your marketing campaign in impacting the buying behaviour is as good as dead. 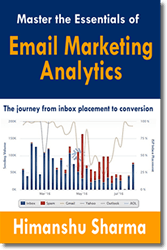 So you can’t just keep attributing the traffic and conversion to the marketing campaign which ended more than 3 months ago. It is equivalent to relying on the first touch attribution model. #3 Each direct returning visit refreshes the timeout of the last non-direct traffic source for the duration equivalent to the campaign timeout setting (default value is six months). This action deflate the true impact of direct traffic and branding on sales and at the same time inflate the false impact of non-direct traffic source on sales. Step-1: Navigate to the ‘Admin’ section of your GA account and then click on the link called ‘Session Settings’ in the ‘Tracking Info’ section under the ‘Property’ column.